As one chapter ends, another begins. And with "Legally Blonde: The Musical" soon coming to a close, so does the Erie Playhouse's 2012-2013 season. But don't be too sad, as this means that we are less than a month away from a brand new slate of musicals, plays, youth shows, and special events. Erie Playhouse Marketing & Special Events Director gave the Erie Reader a rundown of the 2013-2014 season, from killer rabbits to youth shows. Sue Lechner: Monty Python's "Spamalot" is the quintessential fun musical with killer rabbits and French people. 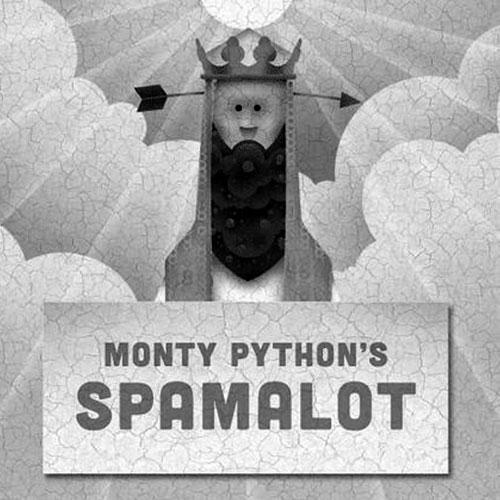 Anybody that's a true Monty Python fan is going to come and is going to expect to see Monty Python's "Spamalot," and they will see all of that and more. Even anybody that isn't a Monty Python fan will be entertained beyond belief because it's a fabulous cast. One of the things that's nice when you get such a big-name show, like last year when we did "Les Mis," people really want to do it, so you get the cream of the crop coming to try out, and "Spamalot" is no exception. SL: [It's] Stephen King come to life on stage. The thing about "Carrie" is the music, the score… I was blown away, it's so beautiful. I was just like, "Wow." There are some teens in it because the director, Richard Davis, could have gone either way with an older or younger [cast], but the kids that are in that are just top drawer. You get the pig blood and everything, and it's not super gory, but it is that time of year, and I think that anybody that is a Stephen King fan or knows "Carrie" the movie will engage with this and I think it's going to play to our younger audiences. SL: That is our holiday musical. We always try to pick something that is going to appeal to the entire family. Mary Poppins will be flying in with her umbrella. Bert will be tap dancing. We're actually working with [magician] Bobby Borgia, who will be doing a show later on in the year, and he will be doing the magic tricks for the show. Usually over the holiday, we have a holiday show and then a New Year's Eve concert, but with "Mary Poppins," that's going to be our New Year's Eve show. SL: It's based on "The Little Mermaid." It takes place on an island, and Ti Moune, who lives on the poor side of the island, rescues the rich boy as he's drowning. The two fall in love, but the two cultures clash, and they can't come together. The music is by the couple, [Lynn] Ahrens and [Stephen] Flaherty, that wrote "Ragtime," so the score, again, is beautiful. It's a beautiful story. It's been done a lot around here. A lot of schools have done it, but the Playhouse has not done it before, so we're really looking forward to that. SL: It's very timely, with the movie, and there are a lot of "Gatsby" fans. Actually, I will be directing that, so I'm really looking forward to it. With the book, the story's there, the symbolism – all of that; so anybody that loves "The Great Gatsby," I think they should forward to seeing it, because the play is very well-written, well-paced. SL: It's one of our most popular shows. This could be the third or fourth time we've done it. Again, it's the quintessential rock musical, Jesus-Bible-Hallelujah [show] that people love. We're really fortunate, because we were really able to secure some great shows this season. Mark Twain's "Is He Dead?" SL: It's a funny, funny show. This last month we had two guys dressed in drag [for "Leading Ladies], and in this show Jean-Francois Millet wants his paintings to be worth money, so he kills himself, supposedly, and he impersonates his sister so that his paintings will go up in value. It's a farce, so everything just rolls from there. It's a play that we read several times, because in the selection process, Richard Davis, our producing director, sees what titles are available and goes through plays and musicals, and we read and listen and discuss it together as a whole. "Is He Dead" was something that we talked about for years, but this year we said, "Yeah, let's go for it," and I think it's going to be fun. SL: [Sings] "He was my boyfriend…"
What's to say about "Young Frankenstein?" The movie is brought to life on the stage. Everybody loves that, so come to see it and you will be entertained to no end. Naughty, racy, bad, whatever – we have it covered, and we hold nothing back. "Freckleface Strawberry" – Nov. 8-10, 15-17; Disney's "Aladdin Jr." – Jan. 17-19, 24-26; "A Little Princess" – May 9-11, 16-18. SL: This year the shows are geared for a younger group. "Freckleface Strawberry" is based on a book by Julianne Moore, the actress. She wrote the book and [it was] developed into a musical about a little girl who finds that she has freckles and feels that her freckles aren't appropriate and has this message about how you can be who you are. Disney's "Aladdin Jr.," is a wonderful, delightful show for the little kids. ["A Little Princess"] is a beautiful piece and good for all of the little kids to see. Parents too. SL: He performed for us two or three seasons ago. It was all sleight of hand. There were cameras, big screens… it was very popular, so he'll be back to dazzle the audiences with his magic skills. SL: It's about this chess tournament, and there's this love triangle. Instead of doing the whole show, we'll just be doing the concert, so we'll be presenting the songs and minimal dialogue. There will be a full orchestra on stage and singers will be there, but again, another very dynamic score. There you have it, folks, eight mainstage shows, three youth theater productions, and two special events in one jam-packed season. If you like killer rabbits, flying nannies, and rolls in the hay, then this year will be a bigger blast than the Holy Hand Grenade of Antioch.